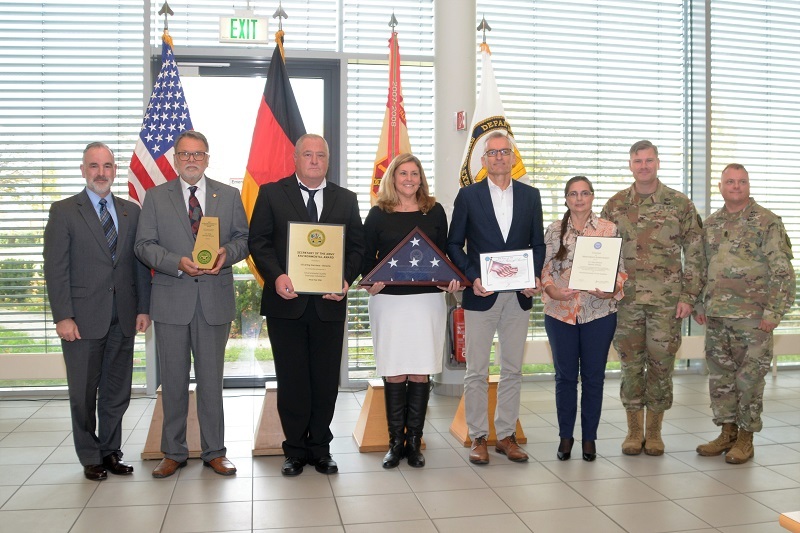 GRAFENWOEHR, Germany — U.S. Army Garrison Bavaria was presented the first-place award in the Environmental Quality, Overseas Installation category of the 2017 Secretary of Defense Environmental Awards program in a ceremony Oct. 20, 2017 at the Ever Vigilant Café on Tower Barracks. To win the award, the USAG Bavaria Environmental Division ranked first among other overseas Army installations in the 2017 Secretary of the Army Environmental Awards program. Once the Army award was secured, the division went on to compete against, and beat, the winners from its sister services. 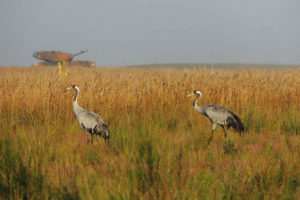 A breeding pair of Kranich or common cranes forages for food in an impact area on the Grafenwoehr Training Area. USAG Bavaria manages its military land with the goal of supporting realistic training environments while also allowing local flora and fauna species to flourish. Photo by Gerald Morgenstern. The Installation Management Command – Europe Director, Michael D. Formica, presented the award to representatives from three on-post organizations that sync efforts and execute the environmental management program at USAG Bavaria – the Directorate of Public Works’ Environmental Division, U.S Army Europe’s Integrated Training Area Management, and the Logistic Readiness Center. In addition to the on-post partnerships, the environmental program works closely with Germany’s Federal Forest Office and other host nation authorities. This close working relationship was highlighted by German forest officials during a recent visit, Formica said. In the last few years, the garrison’s training areas have seen the re-emergence of highly-threatened species that have been absent since the 19th century, said Manfred Rieck, chief, Environmental Division. 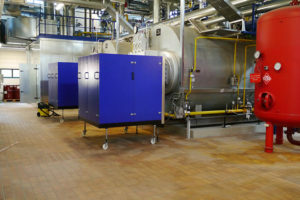 A cogeneration heat and power plant was installed at Camp Nainhof, Hohenfels Training Area. It will save about 1,300 tons of greenhouse gas emissions and $900,000 in energy costs per year. Photo by Paul Hlawatsch.